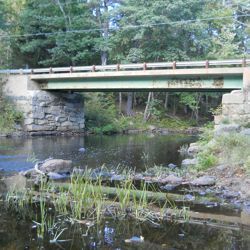 The Town of Barrington, New Hampshire is taking a proactive approach to address potential deficiencies of several bridges and culverts in Town by selecting Hoyle, Tanner to implement a program that effectively and efficiently plans for rehabilitations or replacements of the deficient structures. The Green Hill Road project is slated to be the first project. We are excited to continue our successful relationship with the Town on bridge and culvert projects.